For a composer who has received little attention on record, Attilio Ariosti was remarkably successful in his own time as a composer, a performer and as a diplomat (he was a monk too). He was sought after in the courts of Mantua, Berlin, Vienna and Paris before he made his way to London in 1716. There he wrote for singers such as Senesino and Cuzzoni and went on to become one of the three leading composers at the Royal Academy alongside Handel and Giovanni Bononcini. Filippo Mineccia�s recital includes arias taken from drammi per musica, such as the highly successful 'Caio Marzio Coriolano', 'Vespasiano' and 'Tito Manlio'. Mineccia has quickly become one of the exciting young talents revelling in the vocal demands called of opera seria, whether in live performance or on record: he appeared as Gasparini's Tamerlano on the recent 'Bajazet' [also Glossa] and has also recorded with the likes of Antonio Florio and the late Alan Curtis. 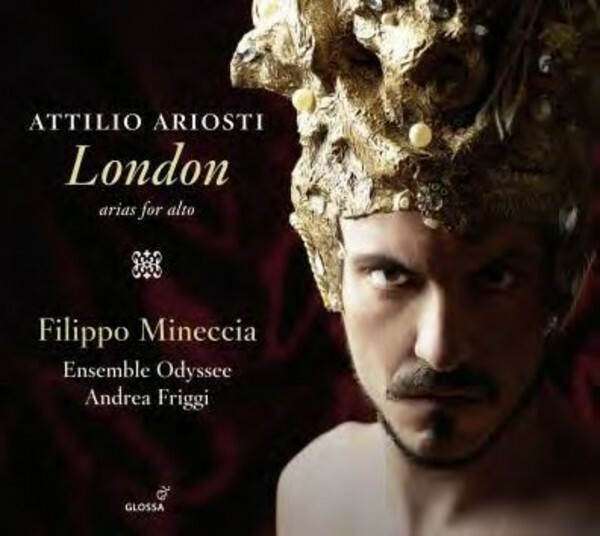 Although formed as recently as 2010 Andrea Friggi�s Ensemble Odyssee has quickly established itself with its dynamic interpretations of Italian music from across the 18th century. Friggi also provides us, in the booklet essay, with an insight into the chequered life and compositional variety of Attilio Ariosti.